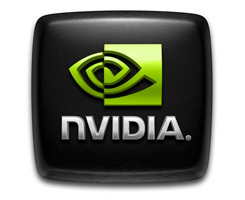 On this page you can download nVIDIA PhysX System Software 9.11.0621. PhysX System Software 9.11.0621 has been extracted from DELL OEM drivers. We have not found anything particular new (updated PhysX .dlls, for example ) in this release and since this driver is not fully official – we recommend to install and/or use it at your own risk. Supports NVIDIA PhysX acceleration on all GeForce 8-series, 9-series, 100-series, 200-series, 300-series and 400-series GPUs with a minimum of 256MB dedicated graphics memory and 32 CUDA cores. Note: Some applications may have higher minimum requirements. Note: If you have problems downloading nVIDIA PhysX System Software 9.11.0621, please try to stop using your download manager and avoid right clicking on files. Also, check your firewall settings, because some mirrors may require that you do not block the HTTP referrers.